Nowhere in 1 Timothy are the consequences of whether Timothy heeds Paul’s instructions more clear than in 4:16. The very salvation of Timothy and the Ephesian Christians hinges upon his willingness to watch closely himself and his teaching. To one degree or another this is true of us all — our salvation and that of others depends on how we guard our lives and our doctrine. Paul is not abandoning salvation by grace alone and embracing works-righteousness in today’s passage. But he is asserting an important biblical truth, namely that while salvation is of the Lord, He has decided to redeem people through the use of secondary means such as the preaching of the gospel by His servants. How can those who do not know Jesus call on Him unless someone tells them the good news, and how can someone proclaim the gospel unless he is sent by the Spirit through the call of the church (Rom. 10:14–15)? Surely, John MacArthur writes, “though salvation is God’s work, it is His pleasure to do it through human instruments” (The MacArthur Bible Commentary, p. 1,792). We have no control over the false opinions the world may form of us. But let us never give them fuel for their blasphemous fires. Instead, may we teach and live out the gospel that we might be living examples of its grace and truth. 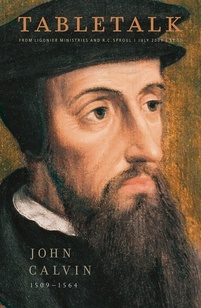 Calvin also writes, “True, it is God alone that saves; and not even the smallest portion of his glory can lawfully be bestowed on men. But God parts with no portion of his glory when he employs the agency of men for bestowing salvation.” The orthodoxy and holiness of all Christians, and pastors especially, can be used of God to attract His elect to His gospel. Let us always live in a manner that is consistent with our holy and gracious Lord.